I just watched "Lo and Behold". His usual interesting survey of perspectives on a subject, this being the internet. I found one interview with a traumatized family quite interesting. A picture of their decapitated daughter had been leaked and circulated around the internet and there is no legal discourse to stop this kind of thing. The mother said, "The internet is the Anti-Christ." Fascinating. I had never thought of it that way, and I don't tend to think that particular anthropomorphization is correct, but certainly she is correct about it embracing, and contradicting certain Judeo-Christian values. Their particular experience being a glaringly horrific example. The root cause is that people are not held accountable. Yes, this true. But those people are acting on their real feelings. Our value system in society acted to suppress them, but they are apparently there. We see them come out in their most aggressive and ugly ways through a medium such as this. I see this as more evidence that anonymity does not make you act like someone else, but rather your true self. In fact, it seems, social norms, rules and laws make "us" act like someone other than ourselves. Anyway, I'd say give it a view. Herzog never disappoints. He knows what questions to ask and who to ask to make you think. And that's what a good book, conversation or movie does. Where did you watch the film Mike? It is on Netflix right now. Look up Werner and review his films - he has made a number of really good ones. You are likely to find them all over. Thanks for the tip on Lo and Behold. I hadn't seen it before. It's certainly a compelling argument for the continued relevance of philosophy, deep critical thinking, and asking ourselves where we want to go. Of course this is difficult and it doesn't cheaply fulfill basic emotional desires so we shirk the issue with ease. Love his "Cave of Forgotten Dreams," except for his ending monologue. In Grizzly Man he says (Werner) that he believes the world is ruled by chaos, violence, and something else mean-spirited, I forget the exact quote. Which would tie into the anti-christ in Lo and Behold. Also, notice how eager he is to go to Mars when he talks to Musk, and he doesn't even want a two-way ticket. Whoa... good observation. I saw the parts on Lo and Behold, but forgot the Grizzly Man reference. I'd say he is correct. Whether the violence is for "good" or "evil", it certainly rules our world. Think about capitalism. It takes advantage of "the meek, the weak and the ignorant." Our freedom? Like my other (whacky) post. Are we really free? Again, this comes from Werner's view of what it means to be free. 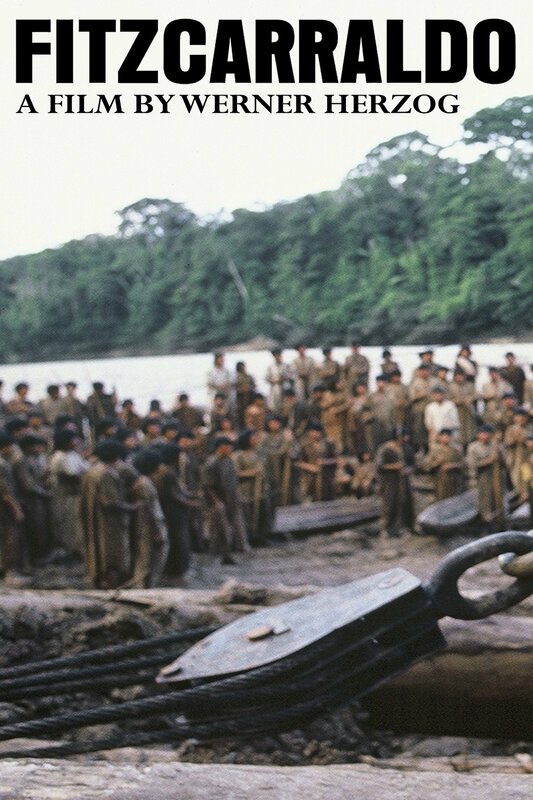 The followup to "Fitzcarraldo" is "Burden of Dreams", a documentary about the filming is fascinating (also 1982). Yah, I know summer is here. But if you find yourself huddled up waiting out the rainstorms, check these out.